The Soundcraft Si3+ is designed for live use on both touring sound systems and in fixed installations, its intuitive operation and high input and bus count makes it a perfect choice for House of Worship sound systems. 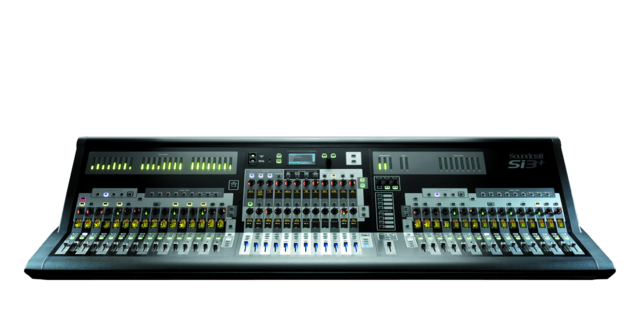 Theatre users will also find the Soundcraft Si3+ very applicable in their area. As standard the Si3+ has 64 mic inputs mapped across 2 sets of 16 faders with each set of faders having 4 independent banks to offer the ultimate in fader layering flexibility. The onboard mic inputs are complimented with four dedicated Stereo Line channels, and four dedicated FX Returns from the four internal stereo Lexicon FX processors offering a full 80 inputs to mix from the onboard I/O. 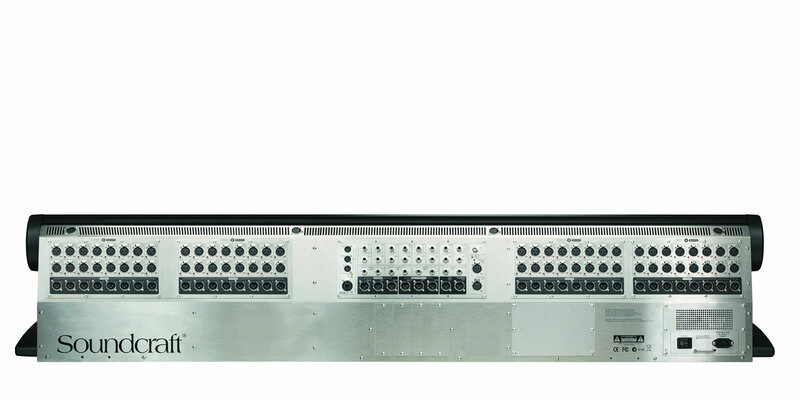 Four 64x64 channel expander slots allow the installation of further I/O sources including the connection of Soundcraft and Studer stageboxes. Eight balanced insert sends and returns are provided along with a vast bus count of 24 Group/Aux busses, 8 matrix busses and a full complement of monitor talkback and main bus outputs. Buses may be freely assigned to any of the option slots or 32 Bus Out XLR connectors which exist in addition to the dedicated MIX and monitoring output XLRs. Every bus has a dedicated 30-band BSS Audio graphic EQ, permanently patched in with no additional drain on DSP resource. A unique feature of the Si3+ is the inclusion of an analogue input or line-out for every bus, master, monitor and talkback function bar none! A direct out from every mono channel offers a simple way to record every channel whether requiring this for later mix-down and production work or to use as a virtual sound-check at the next gig! Like the Si2+ and Si1+, the Si3+ uses a combination of rotary encoders and OLED screens on every channel so the engineer mixes at source, without recourse to a central screen, an interface welcomed by many engineers. Using the center section and channel encoders, it is possible to simultaneously monitor and control input EQ, input dynamics and output EQ. Four assignable on-board Lexicon effect engines supplement 4 stereo inputs to provide a really powerful mix package. Soundcraft’s offline editor program, Virtual Si, can be used to setup and manage complete shows offline, for later download to the console through a USB memory key. With a wealth of input and output connections and power supply on board, the Si3+ can simply drop in where an existing analogue console sat, utilising existing copper cable snakes and splitter systems. On the rear of this highly-featured console are all the I/O connectors you’ll need. Sixty-four XLR’s for the mic/line inputs, 4 stereo line level inputs, 24 bus output XLR’s, 8 matrix output XLR’s Left/Right/Centre mix output XLRs, Left/Right/Centre monitor output XLRs and comprehensive internal and external talkback and Oscillator connections. There are also 8 analogue insert connections which allow outboard processing to be inserted into any input channel output bus. 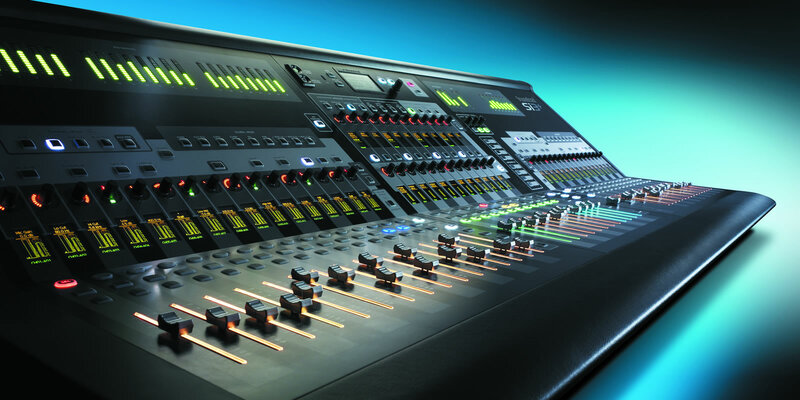 To compliment the Soundcraft Si3+, an offline editor (Virtual Si) is available for managing your show files offline. Metering Internal 14-segment LED bargraphs for all Outputs. 12-section plus 9-section gain reduction OLED meters for all Inputs.